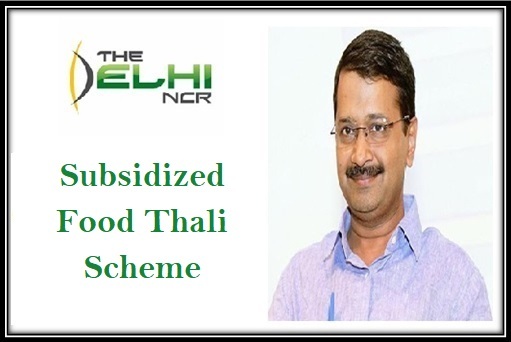 The Delhi government is launching a new food thali scheme (Atal Jan Aahar Yojana). As per this scheme, the poor people will be fed at a very cheaper price compared to the market prices. It is still not known exactly where this scheme shall be implemented. However, poor people will be asked to gather here to get the benefits of this scheme. This scheme ((Atal Jan Aahar Yojana) was launched on 25th December – since it is the birthday of Former Prime Minister Mr. Atal Bihari Vajpayee. The South Delhi Municipal Corporation is going to oversee this scheme. The scheme shall launch in four phases. Each of the separate zones in Delhi will launch this and later it shall extend to the other parts as well. Beneficiaries: This scheme is only for the poor and the needy people. They will be given special subsidies on their food items under this policy. Scheme part of: This scheme is a part of the Deen Dayal Upadhyaya Antyodaya Yojana – which also deals with providing the poor people with food. Benefit: The main benefit is that the government shall provide a nutritious ‘Thali’ whereby the poor people will be able to get their daily meal. Place of implementation: It will be implemented where poor people gather every day. This means that this scheme will take place at poverty-stricken areas. Food: The thali will contain Indian food that will strive to be nutritious so that the poor people are able to get their share of every day balanced diet through this platter. Cost: The government will bear the cost of the platter. This means that it will be obtained at a subsidized rate to the beneficiaries. The thali will cost only Rs. 10. It will contain items like poori-sabji, kadi chawal, rajma chawal, sabzi and dal chawal. But this is not all the municipal corporation is planning to add more dishes to the list. As already mentioned, it will take place in phases. The very first phase might start near AIIMs, Nizamuddin Railway station, Najafgarh and Dwarka. These are the places that are often congested with more poor people. Hence the implementation process will begin from here. The officials also said that they were expecting that they do not have to include any additional subsidy to this scheme. However, if they have to, they are ready to do that. This is a scheme that was officially announced by the BJP government before the elections. Hence, as a promise fulfilled, it is being implemented. It will definitely help the poor people get three square meals a day which will aid poverty to a larger extent. Sir. Kya ye yozna sabhi state’s me lagu hai.